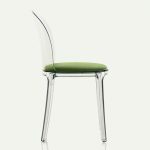 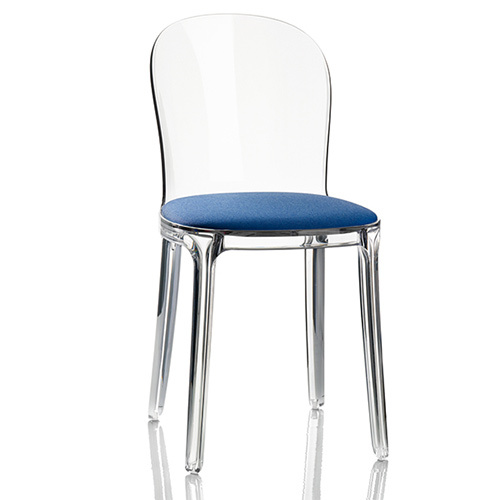 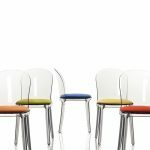 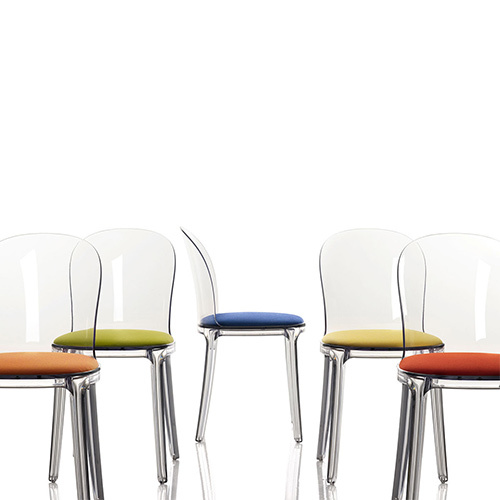 Designed by Stefano Giovannoni, is a transparent polycarbonate chair with padded seats in Kvadrat fabric or leather. 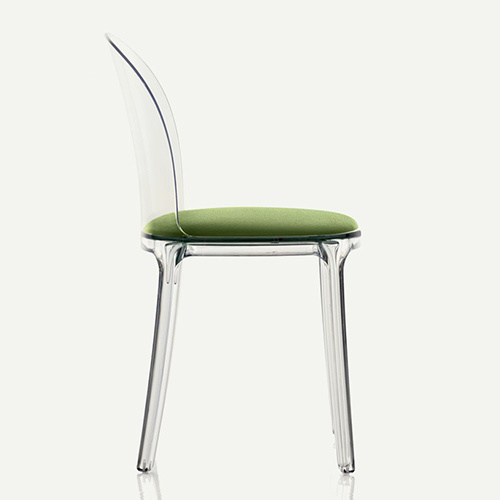 Representing a technological step forward, Vanity is created from injection molding without gas. 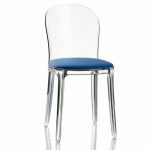 Using this method, the achievement of solid plastic legs that are beautiful and perfect are reached, without the uncontrolled, unsightly air bubbles that are inherent to air-molding technology.